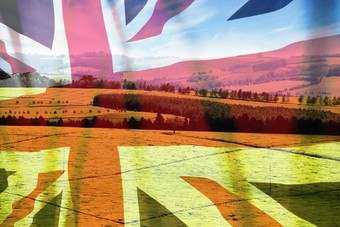 The UK government today (7 October) launched a programme to support the country's food and drink exports, which it claims could provide a GBP500m (US$802.1m) boost to the economy. The "food and drink international action plan" includes the creation of "one team" across government and industry to drive exports and a "single, strong UK brand identity", the Government said. 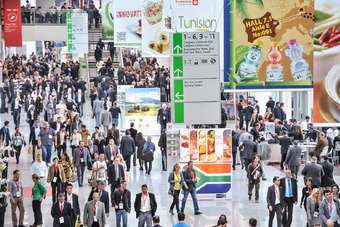 Owen Paterson, UK Secretary of State for Environment, Food and Rural Affairs, unveiled the plan at the Anuga trade show in Cologne, where UK exporters are looking to expand their presence in export markets. "There are huge opportunities for British food companies to export all over the world and I'm determined to help our firms exploit them," Paterson said. The UK government claims only one in ten food and drink small- and medium-sized enterprises export. Those that do business outside the UK, the Government says, "primarily" export to "close European neighbours". UK food and drink exports were flat in 2012 amid economic problems in the eurozone, lower demand for UK commodities and slowing growth outside the EU. The industry also pointed to the effect weather had on grain exports and the strengthening of sterling against the euro. In the first half of this year, exports climbed 2.5%, helped by the country's pork sales to China. Sales to the EU were up 1%, although sales to Germany, Belgium, Spain and Italy - all in the top ten markets for UK food and soft drink exports - fell. The UK's top three markets - Ireland, France and the Netherlands - all bought more food and soft drinks in the first half of 2013 compared to the corresponding period last year. UK trade and investment minister Lord Green said recent data showed there were "opportunities" overseas. "Demand for British food and drink products overseas is growing fast; a 15% increase in overseas sales in the last two years is a clear sign of the opportunities available to the British food and drink manufacturers working in this sector," he said. "This action plan reinforces the UK government's support for such a prosperous sector with an emphasis on how together with industry, we can support businesses in the global export markets." With rival food exporters like Ireland and Spain receiving state backing, some in the UK industry have questioned with the country's government should be doing more.